MANCHESTER, N.H. – The Fisher Cats Foundation, the charitable arm of the New Hampshire Fisher Cats, announced it will host a charity golf tournament on June 3, 2013, at Stonebridge Country Club in Goffstown. The 18-hole scramble will raise money to benefit the Child Advocacy Center of Hillsborough County, a program of the Granite State Children’s Alliance with locations in Manchester and Nashua. The tournament will tee off at 9 a.m. at Stonebridge, with registration and a continental breakfast beginning at 8 a.m. The event will include a shotgun start followed by a lobster and steak lunch, raffle, and awards ceremony. Registrations are being taken for foursomes for $750. The event will include prizes for low gross and net scores as well as longest drive and closest-to-the-pin contests on the course. Registration forms are available at www.nhfishercats.com. 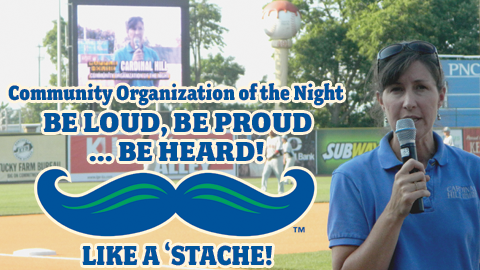 Sponsorship opportunities are also available by contacting Megan Shea at mshea@nhfishercats.com or 603-641-2005. All participants must be registered by Monday, May 13. The New Hampshire Fisher Cats established the Fisher Cats Foundation to be a catalyst for the betterment of communities statewide by supporting youth programs that encourage education and promote healthy living. Through the generous support of players, employees, sponsors, and fans, the Fisher Cats Foundation continuously works to make a positive impact throughout New Hampshire and north central Massachusetts. As the primary funding source for the team’s philanthropy, the Fisher Cats Foundation supports a wide variety of non-profit organizations and coordinates several fundraising programs and events. Since its inception in 2006, the Foundation and the Fisher Cats have provided more than $2.5 million in monetary and in-kind donations to over 3,500 non-profit organizations. The Child Advocacy Center of Hillsborough County (CAC-HC) is a nationally accredited program providing forensic interviews and coordinated support services to child victims of crime and their families free of charge. Since opening their doors in Nashua and Manchester, the Child Advocacy Center of Hillsborough County has provided services to more than 3,500 children. In addition, family advocacy services are provided, children and families are connected to community resources, and the CAC-HC remains a support to families as the criminal case moves through the legal system. The CAC-HC, in partnership with multidisciplinary team members, ensures a less traumatic investigative process, family connection to community resources, and high prosecution rates. Individual tickets for April and May games for the 2013 10th Anniversary Season are on sale now. Fans that wish to obtain seats to mid-summer games, as well as great benefits and premium seat selection, can purchase Full and Half-Season Tickets or Mini-Ticket Plans. Benefits include free birthday parties and monthly barbecues, invitations to exclusive events, and free gifts like ski passes and gift cards. To see the full list of benefits and gifts with each plan visit www.nhfishercats.com or call (603) 641-2005. Opening Day at Northeast Delta Dental Stadium is Thursday, April 4 against the Reading Fightin Phils (Philadelphia Phillies) at 6:35 p.m.
“Hit the Books” contest winner Maya Chamberlain, a student at Liberty Elementary School in Lexington, held her framed poster as she celebrated with her family, along with the Legends’ Big L and the Chick-fil-A cow. At right is a photo of her winning entry. (WHITAKER BANK BALLPARK, Lexington, Ky.) A student at Liberty Elementary School in Lexington has won a bookmark design contest as part of the Lexington Legends/Chick-fil-A “Hit the Books” reading incentive program. Fifth grade student Maya Chamberlain created the winning entry. She received a Legends prize pack, including Legends merchandise, a framed “Hit the Books ” poster featuring her artwork and a free membership in the 2013 Little Legends Kids Club. She also will be invited to throw a ceremonial first pitch at a designated Legends game for her school. Bookmarks featuring her artwork will be distributed to students at every school that participates in the “Hit the Books” program. More than 21,000 students from 52 central Kentucky schools are expected to take part in the program, which runs through April 1. In “Hit the Books,” a baseball diamond is used to record credit for a student’s reading. For every book a student reads, a teacher places his or her initials on a base. When the student has all three bases and home plate initialed by the teacher, the student may bring a “Hit the Books” bookmark to the Legends’ box office at Whitaker Bank Ballpark to exchange it for two tickets to a Legends home game designated for their school. The 2013 season is the 13th for Legends baseball, and also marks the 13th year that the Legends have been associated with “Hit the Books.” About 150,000 students have participated. 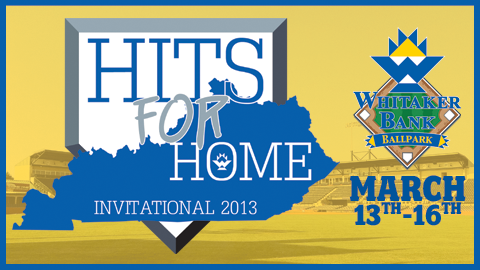 WHITAKER BANK BALLPARK (Lexington, KY) – Whitaker Bank and the Lexington Legends will serve as hosts for the Hits for Home Invitational March 13-16. Proceeds will go to the Salvation Army, which will then allocate funds to assist communities affected by the March 2012 tornadoes. This article originally appeared on the official website of the Lexington Legends1. Click here to view the original story. Each month during the off-season, the Charleston RiverDogs close the office to complete one day of volunteer service with a local nonprofit organization. In February, the Charleston RiverDogs Front Office Staff spent their monthly Staff Volunteer Day with the nonprofit organization Windwood Farm Home for Children. Members of the staff helped to complete various chores around the campus. Windwood Farm Home for Children offers Help, Hope and Healing to abused, neglected children and their families. Windwood Farm Home for Children was founded by local philanthropist and businessman, Joseph L. Tamsberg, Jr. and opened its doors in 1985. Every member of the nonprofit organization is actively involved in the growth, and success, of their mission to offer an environment of healing that is geared to stamp out multi-generational child abuse and neglect. Windwood Farm Home for Children offers therapies geared to increase problem solving, anger management, and frustration tolerance, increase the child’s ability to achieve a successful completion of our program and return to a community living situation. Other services include the Family Reunification program, Family Therapy sessions, and an equine assisted learning program. 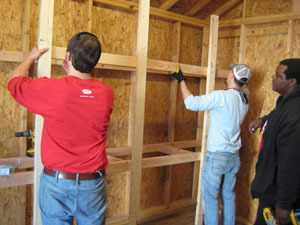 The RiverDogs staff helps build a shed at Windwood Farm Home for Children. Special Events Manager, Kristen Wolfe and Promotions Intern, Haley Kirchner paint during their time volunteering at Windwood Farm Home for Children. (Fort Mill, SC) – The Charlotte Knights, Triple-A affiliate of the Chicago White Sox, and Carolinas HealthCare System are dedicated to providing educational opportunities to the youth in our communities. Earlier today, in an effort to improve educational funding for high school students who are interested in pursuing a career in healthcare, the Charlotte Knights and Carolinas HealthCare System announced that they have committed to providing three $1,000 college scholarships to local high school seniors. 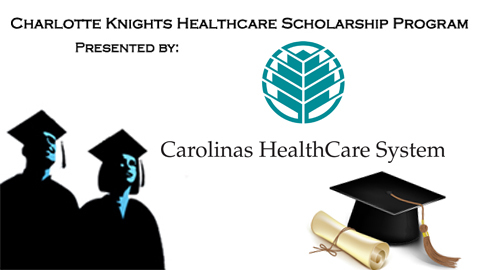 The 2013 Charlotte Knights Healthcare Scholarship Program is open to any high school senior enrolled in one of the following North or South Carolina counties: Cabarrus, Catawba, Chester, Gaston, Iredell, Lancaster, Mecklenburg, Rowan, Union, or York County. Applicants must be attending an accredited institution of higher education in the fall of 2013, and will be judged on academic performance; volunteer and community involvement; and sports and extracurricular activities. The three winners will be honored before a select Knights game this summer. Applications for the Charlotte Knights Healthcare Scholarship Program presented by Carolinas HealthCare System, are available at charlotteknights.com, and must be postmarked by April 30, 2013 to the Charlotte Knights for consideration. The scholarship committee will be comprised of two Charlotte Knights employees, two Carolinas HealthCare System employees, and one outside party to be selected by the Charlotte Knights. Carolinas HealthCare System (carolinashealthcare.org), one of the nation’s leading and most innovative healthcare organizations, provides a full spectrum of healthcare and wellness programs throughout North and South Carolina. Its diverse network of nearly 800 care locations includes academic medical centers, hospitals, freestanding emergency departments, physician practices, surgical and rehabilitation centers, home health agencies, nursing homes and behavioral health centers, as well as hospice and palliative care services. CHS works to improve and enhance the overall health and wellbeing of its communities through high quality patient care, education and research programs, and numerous collaborative partnerships and initiatives. Full season and partial season ticket packages are on-sale now and can be purchased by calling 704-357-8071 ext. 2106 or online at http://www.charlotteknights.com. Season Tickets offer such benefits as a VIP parking pass, invitations to special events, and a unique unused ticket program. They are also the best way to ensure priority selection of seats at BB&T Ballpark. Call a Knights’ representative today for more details! Knights Baseball… Tradition Never Ends. A Barons Goodie Bag, which includes items from preferred vendors including a Children’s of Alabama stress ball. 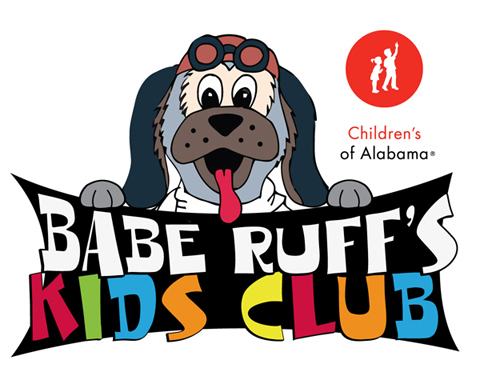 To register visit Barons.com, fill out the registration form located on the kid’s club page and bring it to Regions Field. Fans can also contact Steve Bayko at sbayko@barons.com or by phone at 205-988-3200. The New Britain Rock Cats Baseball Club, the Double-A Eastern League Affiliate of the Minnesota Twins, has announced its “Welcome Home Dinner” will take place on Tuesday, April 2 at Hawks Landing Country Club in Southington. Fans will have the opportunity to have dinner with the players before the 2013 season starts. A team autograph session will take place at 5:00pm and dinner will be served at 6:00 pm with each table featuring a player or coach. The Rock Cats Foundation along with the New Britain Elks Lodge #957, Connecticut Children’s Medical Center and Gordon Bonetti Florist will sponsor the annual “meet the team” event, as the club arrives from spring training. Individual tickets are only $35 for adults and $25 for children (12 and under), with the proceeds benefiting the Connecticut Children’s Medical Center. Tickets are on sale at the box office or by calling the Rock Cats at 860-224-8383 ext 22. Tables and event sponsorship opportunities are available for local businesses. Tickets are sold on a first come first serve basis. This popular event is expected to sell out. The Annual “Rock Cats Welcome Home Dinner” serves as an occasion to celebrate the arrival of spring and the start of another professional baseball season in Connecticut. Members of the Rock Cats organization- players, coaches, front office personnel and Rocky, (the team’s popular mascot)- will be present at this festive dinner. As in the past, Rock Cats players will meet and greet all those in attendance, while also expressing their collective appreciation for the tremendous support the community has extended to this franchise for more than three decades. Proceeds from the “Rock Cats Welcome Home Dinner” will benefit the Connecticut Children’s Medical Center, which is dedicated to improving the physical and emotional health of children through family-centered care, research, education and advocacy. “This unique event provides the public a unique opportunity to spend an evening with the players they will be rooting for this season while benefiting a wonderful cause in the Connecticut Children’s Medical Center,” Rock Cats President John Willi said. The Rock Cats open their 31st season on April 4 in Richmond, Virginia and return to the Hardware City a week later on Thursday, April 11 (6:05) for the home opener against the Red Sox affiliate, the Portland Sea Dogs. MOOSIC, Pa. – The Scranton/Wilkes-Barre RailRiders are rolling out their brand new kids club program for the 2013 season at the new PNC Field. 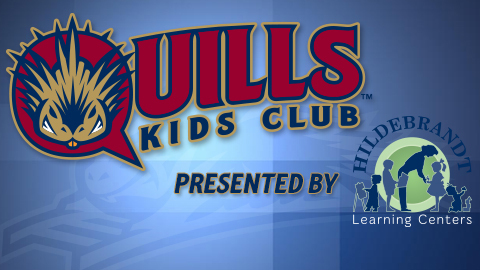 Fans aged 12 and under are invited to experience all of the fun at PNC Field in a way catered to the younger fan by joining the Quills Kids Club presented by Hildebrandt Learning Center. The Quills Kids Club presented by Hildebrandt Learning Center provides numerous benefits to both parents and children. For just $20, kids will receive an exclusive Quills Kids Club t-shirt, a free pass to the Fun Zone for the entire season, an end of the season party with the team, as well as $10 off a RailRiders birthday party at PNC Field. Kids will also receive a free NEPA Honda Dealers Association Lawn ticket for all six Wednesday night games, which are Kids Eat Free Games. Bonus items include a membership card, an e-mail newsletter from the RailRiders’ mascot and a birthday card. The new PNC Field will feature a brand new Fun Zone that will include breathtaking inflatables and new games. Free access to this childhood paradise is one of the lynchpin positives to being a member of the Quills Kids Club. The RailRiders’ 2013 season gets underway with the grand opening of a reconstructed PNC Field on April 4 when the defending IL champion Pawtucket Red Sox come to town for a rematch of their 2012 playoff clash with SWB. It will mark the first “Thirsty Thursday” promotion of the year with $1 beer specials and $1 Pepsi products along with a pre-game live band performance and post-game fireworks. Partial and full-season ticket plans are now available. 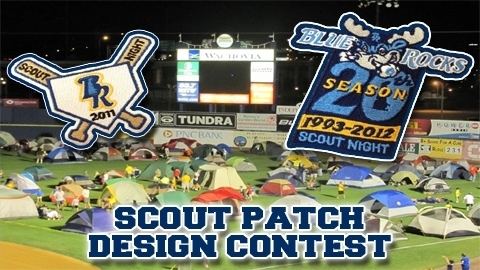 Wilmington, DE – The Wilmington Blue Rocks are pleased to announce the implementation of the 2013 Scout Patch Design Contest for their Boy and Girl Scout Sleepovers in August at Frawley Stadium. The winning scout will receive a prize pack and the winning patch will be given to all scouts participating in the sleepover. Deadline for submissions is April 8, 2013. Scouts can submit their designs via mail to the Wilmington Blue Rocks, c/o Scout Sleepover, 801 Shipyard Drive, Wilmington DE 19801. For any questions regarding the Scout Sleepover, or the design contest, call Stefani Rash at 302-472-5718 or email her at srash@bluerocks.com. The 2013 season marks the 14th year of the scout sleepover program with the Blue Rocks. Sleepover dates are June 28th for the Girl Scouts and August 17th for the Boy Scouts. The Blue Rocks begin their 2013 season on April 5th in Myrtle Beach. After a six-game road trip, the Rocks return to Wilmington for the home opener on Friday, April 12 at 7:05 p.m. Group tickets and mini plans for the 2013 campaign are on sale now by visiting bluerocks.com. 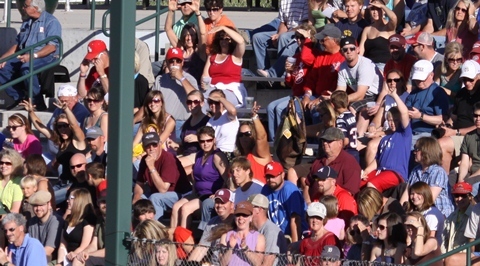 The Missoula Osprey announced today that the Staybridge Suites/Missoula Independent Community Corner that recognizes the impact of local non-profits in Western Montana will return for the 2013 season. For every regular season home game, Staybridge Suites, the Missoula Independent and the Osprey team-up to donate 20 tickets to qualified non-profit organizations. The tickets can be used by volunteers, sponsors, staff, or those that benefit from the organization’s efforts. Due to the popularity of the program, Community Corner tickets are only available on a first come, first served basis. Community Corner requests must be made in writing to Griffin on the non-profit organization’s leatherhead by the director of each group. Requests may be mailed to 140 N. Higgins, or e-mailed to jgriffin@missoulaosprey.com. 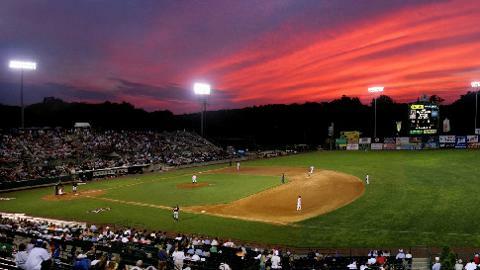 The 2013 home opener for the Osprey is slated for Thursday, June 20 versus the Helena Brewers. PEORIA, IL – The Peoria Chiefs and the Illinois Cancer Care Foundation are offering fans the opportunity to put their own image on a jersey number for the specialty jerseys the Chiefs will wear during the Swing for the Cure event on Saturday, May 18. Fans can send in a photo that will be placed on a number on the back of a jersey in one inch by one inch segments. All submitted photos are guaranteed to be on at least one jersey. The cost to submit a photograph is $25 and every person who submits a photo will be entered into a drawing to win one of the jerseys. The maximum order per person is five photographs. The jerseys will be worn on Saturday, May 18 at 6:30 p.m. as the Chiefs host the Clinton LumberKings. All jerseys will be auctioned off during the game and all proceeds will benefit the Illinois CancerCare foundation. 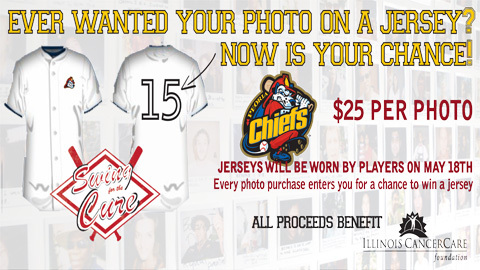 To submit a photo, download the Jersey Form or email ChiefsJerseyPhotos@gmail.com. The deadline for submitting a photo is Friday, April 26. The May 18 game also features a post-game Fireworks show and a Pitch-In For Charity Tennis Ball Toss which will also benefit the Illinois CancerCare Foundation. Illinois CancerCare, P.C. is a comprehensive practice treating patients with cancer and blood diseases. The focus is to provide state-of-the-art treatments for its patients in the fight against these diseases while staying on the leading edge of breakthrough research and medicines. Illinois CancerCare is central Illinois’ largest network of cancer care specialists with 90-120 open clinical cancer research trials being conducted at any given time. Currently Illinois CancerCare has 17 physicians, more than 230 staff members and 13 clinic locations throughout central and western Illinois. For more information call 309-243-3000 or visit illinoiscancercare.com. The Illinois CancerCare Foundation is committed to supporting research, education and awareness of a disease that affects 1 in 3 people. The Foundation funds clinical research trials, regardless of the level of federal funding available. A goal of the Illinois CancerCare Foundation is to expand the number of patients enrolling in clinical trials in order to discover better treatment and therapy options and ultimately cures for many types of cancer. Funds are also used to help support cancer education, awareness, and patient comfort care through special programs that reach patients in need. For more information visit illinoiscancercare.com. 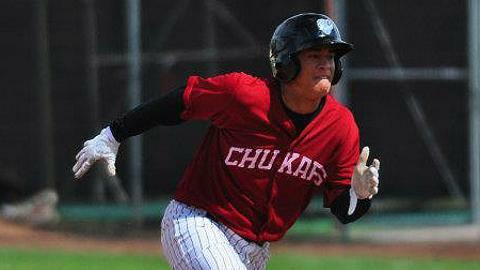 This article originally appeared on the official website of the Peoria Chiefs. Click here to view the original story.